Huawei has just announced their new line of P20 phones yesterday. And alongside the handsets, they also revealed three audio accessories. One of them are the FreeBuds, a new pair of wireless earphones to take on the popular AirPods. a new pair of wireless earphones to take on the popular AirPods. 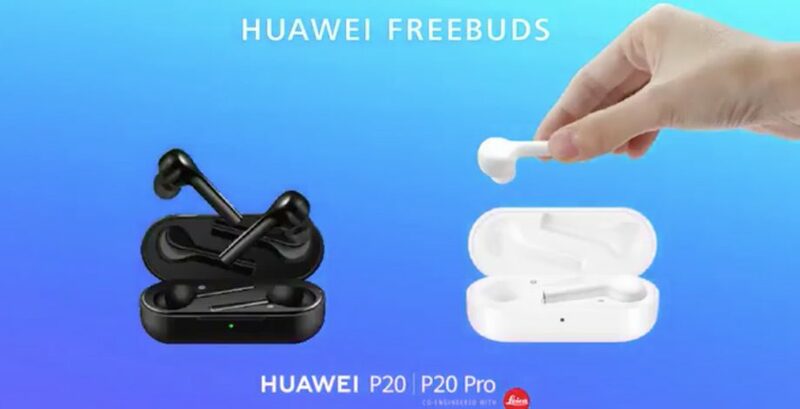 In comparison, the FreeBuds look similar to Apple’s AirPods but has twice the battery life, able to playback for 10 hours without charging and is also sold in black. The earphones can also be charged in the case it comes with. Of course, with the launch of the wireless earphones Huawei has opted not to include the headphone jack in their P20 phones. The FreeBuds cost €159, same as the AirPod’s retail prive in Europe. The P20 and P20 Pro will be available today and the beginning of April, but no news yet on when the audio accessories will come out.